I am bored and thought it would be fun to see what you all suggest. Trying to spend like $8,000 or less but would maybe go up to $12,000 if I found something I really like. I have a 1995 RX-7 LS1 and a 2000 Ford Excursion V10 4x4. Currently driving the Excursion till I find a new ride. I only have it for towing the RX7 and for 4x4 when it snows bad enough. I live in the city so a huge car like the Excursion isn't practical for daily life. I only drive 15 miles a day and don't drive a lot on the weekends so fuel economy isn't something I care too much about. I was daily driving a 2007 Touareg V10 Tdi but the turbos were starting to go and every 6 months I would get stuck with some ridiculous electrical problem that would take weeks to solve. I would love to find something newer that is reliable so I can focus my wrenching time on the RX7. I go back and forth on wanting a Coupe, Sedan, or SUV. The Excursion will be parked 20min away from my house so its not super convenient to just go get it when I need it but that is an option. I'd love something in a manual but would consider an Auto (obviously auto if I get an SUV - I know the X3 has a manual but I hate X3s). my wife has a 2014 BMW 328d X-drive AWD 2.0 turbo diesel its pretty nice but I don't want to spend that much. Re: In search of a new Daily driver! What kind of size are you aiming for? My Focus ST is one of the best dailies I've had and you can get them at the 12k range now. Stick shift, turbo, and with a couple hundred dollars in a tune they're really snappy. Reliable for me over 40k miles I've had it (65k total on it) though it did nuke a high pressure injection pump this week, but it is only 75 bucks and about a half hour to fix. The ST3 which is the trim I have has leather Recaros and a pretty decent Sony stereo with a sub, navigation, etc. thats a possibility. A lot of people like those. I may have to go look at one in person. hah yeah. I do love VW but yeah after 80k???? crapshoot. My buddy suggested the IS350, no manual which is a bummer. I feel like if I go auto i am going to lean towards an SUV. Higher mileage Lexuses (Lexi?) are great bang for the buck. 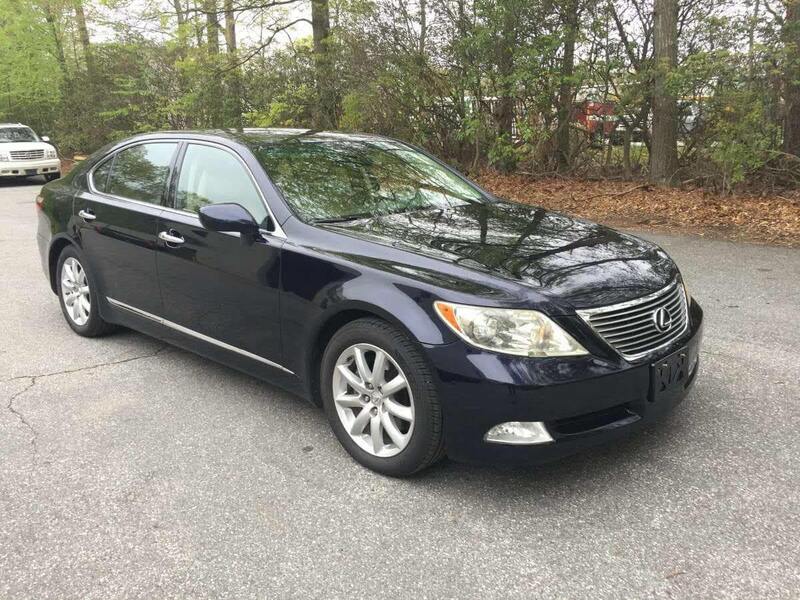 I picked up an 07 LS 460L with 158k miles for $7500. Pretty crazy for a car that stickered at $81k. They're also timing chain motors and the Toyota 8 speed autos are supposed to be pretty reliable. At least around me, most of the 460s for sale are first or second owner and have around 200k which goes to tell you the people that buy them don't want to get rid of them. They're super comfy, plenty of power, and really well made. Mine is RWD with snow tires and I've had zero issues in the weather so far. I went to go look at a 55k mile 2009 BMW 335i 6-speed hard top convertible Saturday. It was already sold by the time I got there. They were asking $13.5k for it was a local trade in at a Jag dealer. 335 is a great car, I have seen some higher mileage onea below 10k certified pre owned from the BMW dealer. 6 spd is hard to find. Later yar E46 could be nice too assuming there are no electrical issues. IS300 also came in manual and stupid cheap, like under 5k. I'd get some sort of hatch or smaller suv like a honda crv. Something that's great on mpg, storage, roomy, low insurance premiums and easy/cheap to fix. Fuel economy isn't an issue neither is insurance. I am old enough and have enough cars/coverage that any thing I get wont cost me much. I just found an 06 330ix awd 6-speed sedan black on black with 99k local for $6500 been on CL for two weeks. I may just try and pick that up for $5500-$6000. Seems like a good deal. Is that still the 3L NA motor or is it turbro? Sounds like a decent daily. I've been looking really hard at the Stinger GT's. Roughly the same price as a new Focus RS. Kinda hard to justify the hoon. I test drove a Stinger GT. It was REALLY nice for the price. Apparently a piggy back for a couple hundred can net you 25% more power. Don't know if you are open to used cars, but I got a CPO m235i with 30k miles that was like a brand new car. I absolutely love it with the manual trans. With a 2 year maintenance plan and factory warranty I was out the door for just under $35k including all taxes and fees. That's not too bad. Prior to the M2 Competition there didn't really seem to be a big need for the extra cost of the M2 over the M235i. With the detuned M4 motor though. I can't wait until they are half price at 4 years old. Ha. I've not test driven either. As a daily I might consider a dual clutch since I still have the RX-7. I'd have to try them both out. Old supervisor had a 2013 M340i(I think) with the slush box. Hot garbage. My dad bought a M2 a year early...should have waited for the competition lol. I think you should go try a 235 and M2, they are pretty fun little cars, certainly the only new car I would consider if I was looking. An older twin turbo BMW would also be similar, but I would be iffy about maintenance beyond 100k miles, but if you can go CPO and get a warranty that's always good too. The 235 doesn't leave me wanting for anything vs an M2. If it were the auto it'd be a lot less fun to drive though. I just put an exhaust on it and I'm enjoying it even more. I turned off the stupid fake engine noise through the speakers. If the exhaust is stock however there is literally no engine noise without it - which is a shame because it sounds fantastic. My only other gripe is the 235 doesn't get a limited slip differential, and when really pushed to the limit the car really rolls over onto the tires. It is definitely not a track ready car. I agree for a daily. What exhaust did you put on? The M2 is pretty awesome on a track, well balanced at the limit, but I am sure you could make the 235 handle exactly the same.